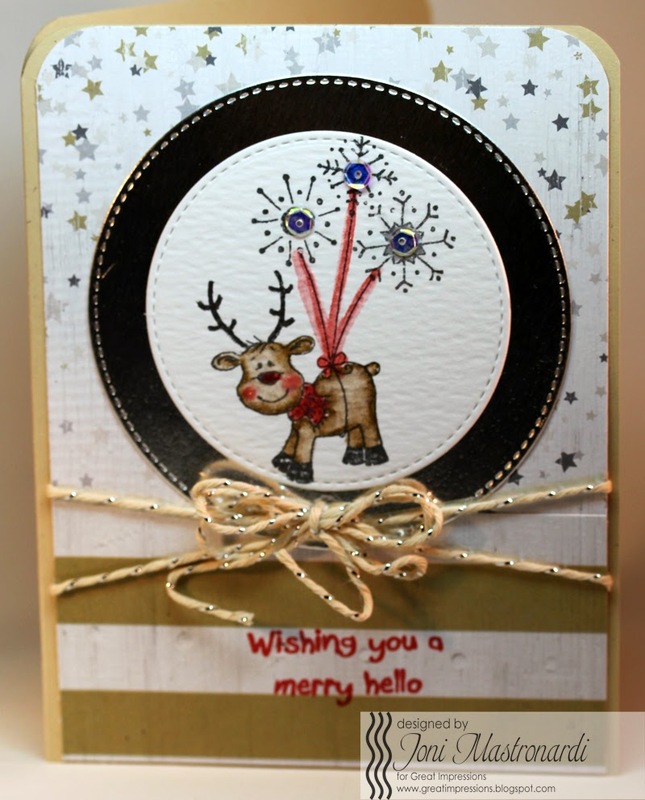 Today I have this adorable image F563 Snowflake Reindeer from Great Impressions. I stamped the image on watercolor paper and colored it with Distress markers. Then I watercolored with a Wink of Stella Clear pen. I used some circle dies to frame my image. I added the sentiment A117 Merry Hello. Glittery twine finishes the card! This is such an adorable image and beautifully coloured.